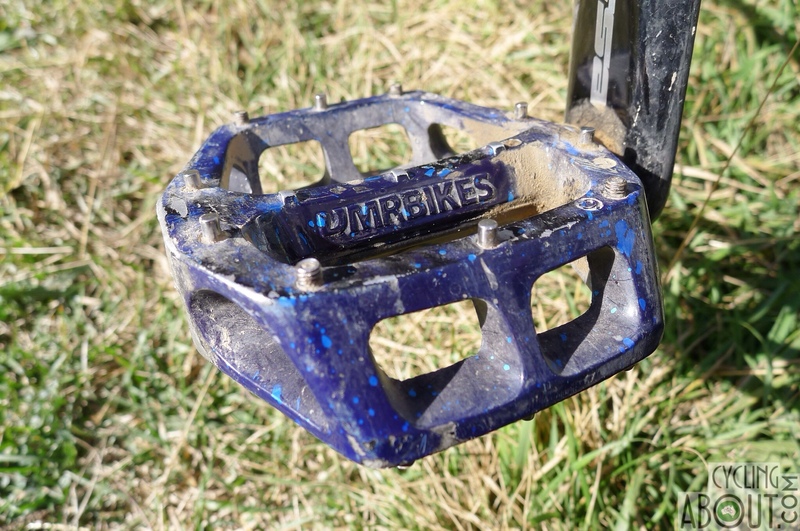 Kat’s DMR V8 pedals were a perfect colour match to our tandem frame. Unfortunately their function has been less than perfect after developing a click after about 2500km which we cannot shake. Even a rebuild won’t get these back on track. As a result, I cannot recommend these pedals at all for long distance touring. 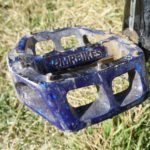 – Grippy enough for flat pedal touring, but not too spiky that you will tear up your shins. – Available in SO many colours. – Click developed after 2500km meaning that these colourful pedals are unfortunately not touring worthy.